Scott has been on a hunting trip since Wednesday. He's thankfully home now. We always miss him when he's gone. 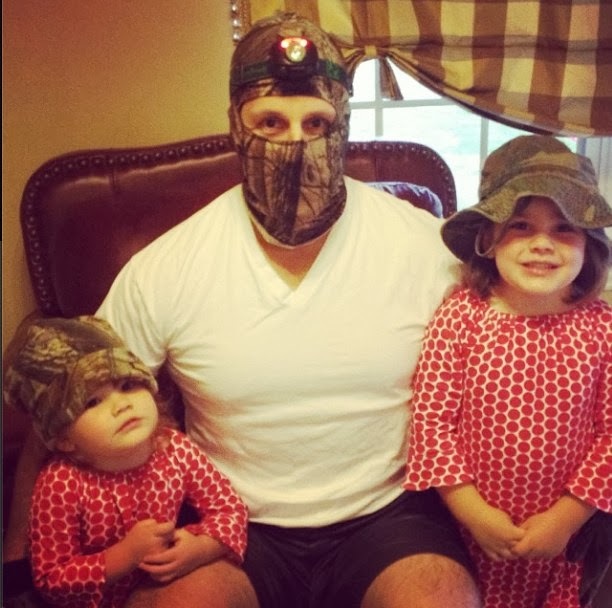 My girls were so interested when he was packing all of his hunting gear. 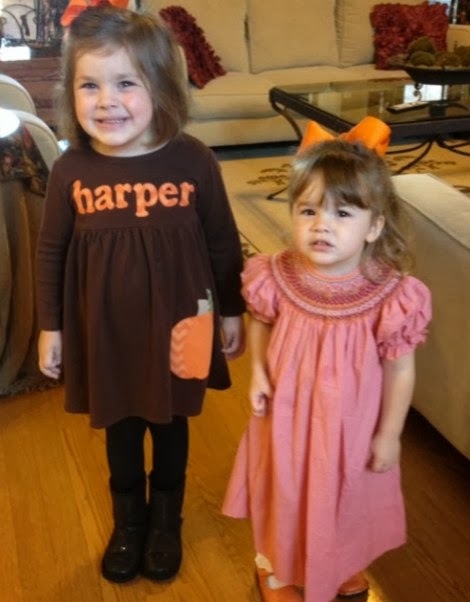 Harper really wanted to go with him. They sure look cute in camo but being quiet and still for hours in the cold woods? Probably never going to happen. ha! Since Scott was gone I decided it would be a good weekend to keep my friend Jenn's girls and have a sleep over. She has been going through cancer and I think her mom has had her hands full helping her so I wanted to give them both a break! Plus my girls love having their friends over. We kept busy with lots of craft projects, movies, playing outside and just having fun. We wore our fall clothes for church this morning. It was pastor appreciation day this morning at church which I loved because we have the BEST church staff. I love all of our pastors and their wives so much. We are so fortunate to have such great leadership. This month is pastor appreciation month. If you are active at a church - be sure and send them a note and encourage them. People in ministry need it!